Today's Letters: Dear Mr. Loerke, this morning you told me that you loved me more than 1,000 horses. I asked you what that meant and you said you weren't sure and that it was only 7am. 2 points for talking in your sleep, 3 points for loving me more than Black Beauty. Dear American Pickers, pretty sure I became addicted to your show when I a) saw an Ape Vespa for sale and b) watched cutie old ladies sell you antiques. They are the most inspiring part of your show. Dear BLT & Avo Sammy, you were delicious. In fact, one of the best I've ever had. Thanks for giving me a small taste of summer today. Dear Husband, this might be my new favorite photo of you. How did you get all the way up there? A jet pack or something? is this palo duro canyon? 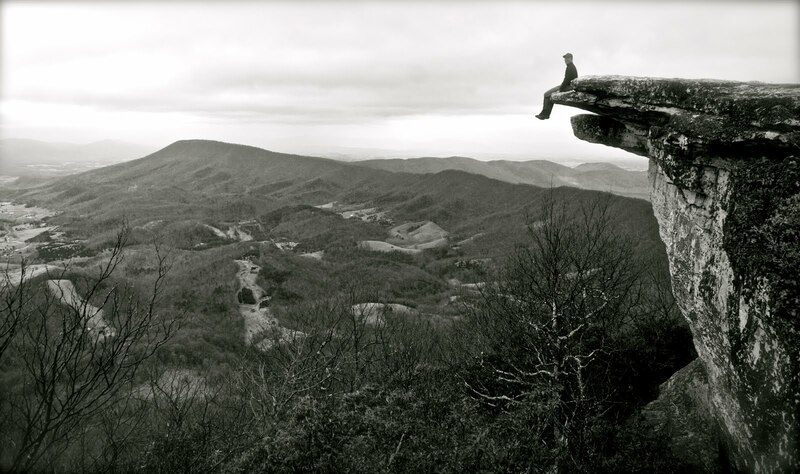 cp, husband says a place called mcafee's knob in tennessee. but he wants to go to your palo duro canyon.